Before purchasing my first m43 camera, I was shooting with a Canon G9. Slow AF with the Canon G9 drove me to upgrade. Size matters to me and so does IQ. While I agree with much of what you wrote. I believe the IQ gap between m43 senor cameras and larger sensor camera as I get many excellent IQ photos with my m43. If weight, bulk and cost were not considerations I would probably have a FF camera with some great lenses. I do not shoot professionally. For my subjects, m43 works very well for me. I believe that most people who purchase cameras try to justify their purchase. For me, I have no problem that other photographers have other camera and are very satisfied with them. 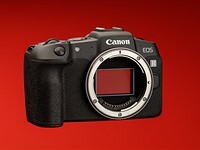 There are plenty of excellent cameras--just look at some of the exciting cameras introduced at and prior to Photokina. I believe that m43 will survive and thrive in the long term -- less weight, less bulk, lower cost, and very good to excellent IQ. About 1 year ago my friend purchased a Nikon DSLR when he and his wife visited Europe. I recommended an m4/3, but he wanted a Nikon. He recently purchased a Sony RX100 which is more pocketable because he does not like to lug his DSLR and like the convenience of a small camera. The camera market is large and everyone has different objectives and needs and that is why there is a huge variety of cameras that are purchased every day. "OMG, does a day ever go by when m43 fans are not trying to rationalize their choice of gear with comparisons to larger formats? As far as D800 comparison, if you have used a D800, it is doubtful that you'd make such a David vs Goliath comparison. Ignoring DOF, a D800 at ISO 800 or even higher looks as clean as an OM-D at base ISO. And to IrishAndy's point about P&S, my Ricoh GRD III at ISO 64 is much cleaner than the OM-D at base ISO where it doesn't have the slightest bit of noise. A camera like the D7000 or Fuji X-Pro1 shows very little if any noise at base ISO. The same cannot be said for the EM-5. Professionals use FF and Medium Format cameras as they have the best IQ, a vast selection of optics, and big, bright optical viewfinders. They are clearly the best tools for the job, but with prices coming down, even enthusiasts are choosing FF cameras for the ultimate in IQ and ergonomics. As far as m43 fans, until you recognize that any system has compromises and until you give the constant rationalizing and equivocating a rest, you'll never be truly happy with your gear."